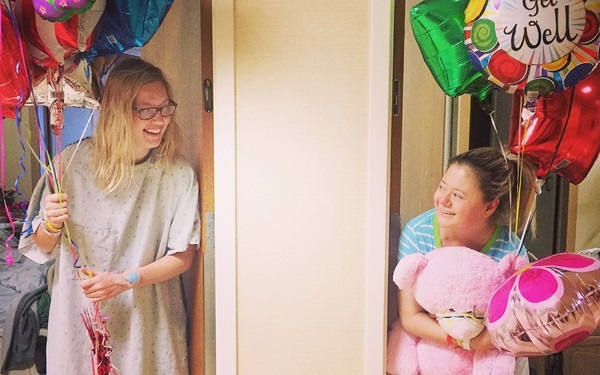 Chelsey donated a kidney to her college roommate, Ellen. Chelsey is now a 1+1=LIFE Mentorship mentor and member of our Young Professionals Group (TLC). Living organ donors are usually between the ages of 18 and 60 year old. However, acceptable ages may vary by transplant center and the health of the donor candidate. The prospective donor must have several points of compatibility including a compatible blood type, tissue type, and other markers. The donor candidate is carefully evaluated by lab tests, physical examination, and psychological evaluation to ensure that the candidate is healthy enough to donate and that he or she is making an informed decision. The decision about whether to accept the donor is then made by the health care team at the transplant center. Please note: It is illegal to sell human organs for the purpose of transplantation. Federal law stipulates that no person may be paid and/or receive valuable consideration for donating an organ. Need support? Connect with a Mentor. See our Living Donor Guide for more information. Steve, Team Transplant cyclist and 1+1=LIFE Mentorship mentor. Keith (right) received the GIFT OF LIFE when he was given a kidney from his step-son Jonny (left). 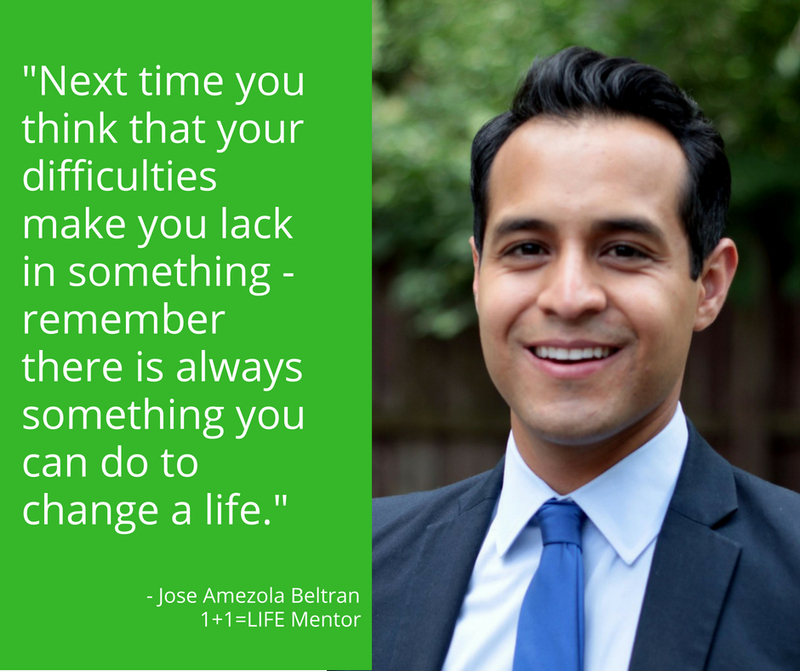 Keith is now a mentor in our 1+1=LIFE Mentorship Program. Quality of life: Transplants can greatly improve a recipient’s health and quality of life, allowing them to return to normal activities. They can spend more time with family and friends, be more physically active, and pursue their interests more fully. Increased life span: A kidney transplant dramatically increases the life span of a patient by about 10 years and improves their quality of life. Dialysis, while clearly a life-saving treatment, it is a less-than-perfect replacement for an actual human kidney. In addition, people who undergo a transplant will no longer require weekly dialysis treatments or have the side effects of dialysis such as nausea, vomiting, low blood pressure, muscle cramping, and itchy skin. Shorter waiting time: Due to the lack of organs available for transplant, patients on the national transplant list often face long wait times (sometimes several years) before they are able to receive a transplant from a deceased donor. Patients who find a suitable living donor do not have to wait on the list. Better results: Transplant candidates generally have better results when they receive organs from living donors as compared to organs from deceased donors. Often, transplanted organs from living donors have greater longevity than those from deceased donors. Genetic matches between living donors and candidates may lessen the risk of rejection. Kidneys and Livers Function Almost Immediately: A kidney or liver from a living donor usually functions immediately in the recipient. In uncommon cases, some kidneys from deceased donors do not work immediately, and as a result, the patient may require dialysis until the kidney starts to function. Positive emotional experiences: The gift of an organ can save the life of a transplant candidate. The experience of providing this special gift to a person in need can serve be a positive aspect of donation. More time with your loved one: Donating an organ can increase the time you have to spend with your loved one as well as the quality of that time. Flexible time frame: Surgery can be scheduled at a time that is convenient for both the donor and recipient. Removes a candidate from the list: A living donor removes a candidate from the national transplant waiting list, which is currently above 114,000 people. This allows the people on the waiting list who cannot find a living donor a better chance of receiving the gift of life from a deceased donor. Immediate impact: The impact of a transplant is so striking that recipients often look noticeably healthier as soon as they emerge from surgery. 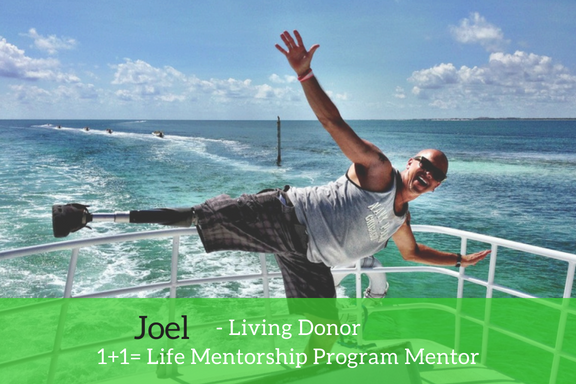 Living donation does not change life expectancy, and after recovery from the surgery, most donors go on to live happy, healthy, and active lives. For kidney donors, the usual recovery time after the surgery is short, and donors can generally resume their normal home and working lives within two to six weeks. Liver donors typically need a minimum of two months to resume their normal home and working lives. Although transplantation is highly successful, complications for the donor and recipient can arise. Make sure to check out common myths and concerns about living donation. Be sure to talk to your doctor about what to expect. For living kidney donors, the remaining kidney will enlarge slightly to do the work that two healthy kidneys share. The liver has the ability to regenerate and regain full function. Lungs and pancreas do not regenerate, but donors usually do not experience problems with reduced function. As with any other surgery, there are both short and long term risks involved in living donation. Surgical complications can include pain, infection, blood loss, blood clots, allergic reactions to anesthesia, pneumonia, injury to surrounding tissue or other organs, and even death. As transplant surgeries are becoming more common and surgical techniques are advancing, risks involved with living donation continue to decrease. There has been no national systematic long-term data collection on the risks associated with living organ donation. However, there are studies that are currently gathering such information. Based upon limited information that is currently available, overall risks are considered to be low. Risks can differ among donors and the type of organ. For kidney donors, there is only a 1% lifetime increase in the donor’s own risk of kidney failure. To put this into perspective, the general population has a 3% risk for kidney failure. Overall, there is only a three in 10,000 risk of dying during surgery and in general donation neither reduces life expectancy nor prevents donors from living normal, healthy lives. Some possible long-term risks of donating a kidney may include high blood pressure (hypertension); large amount of protein in the urine; hernia; organ impairment or failure that leads to the need for dialysis or transplantation. Liver transplantation carries greater risk for both the donor and the recipient than kidney transplantation. Some possible long-term risks associated with donating a lobe of the liver may include wound infections; hernia; abdominal bleeding; bile leakage; narrowing of the bile duct; intestinal problems including blockages and tears; organ impairment or failure that leads to the need for transplantation. The Organ Procurement and Transplantation Network (OPTN) has limited long-term data available on how living donors do over time. 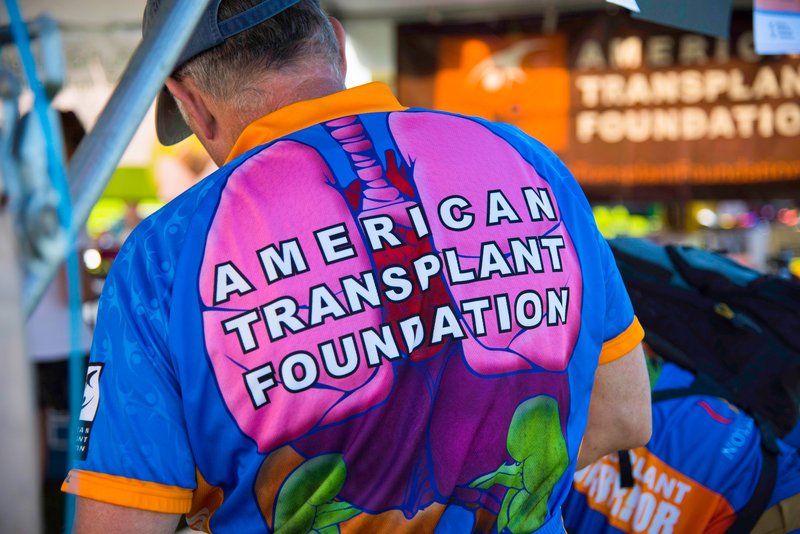 Based on OPTN data from 1998 through 2007, of the 3,086 individuals who were living liver donors, at least four* have been listed for a liver transplant due to complications related to the donation surgery. Of the 59,075 individuals who were living kidney donors from 1998 to 2007, at least 11* have been listed for a kidney transplant. However, the medical problems that caused these kidney donors to be listed for transplant may or may not be connected to the donation. *This total only captures data on transplant candidates who are known to the OPTN/UNOS to be previous donors. Studies have shown that donating a kidney or part of the liver does not affect a woman’s ability to have children. However, it is important that you tell your doctors of your plans to have children. Each case is different, and your doctor may have additional recommendations given your medical history. A recent study from Toronto says that women who have donated a kidney are at higher risk of developing gestational hypertension or pre-eclampsia during pregnancies that follow the donation. The study suggests the increase in risk is not enormous (about a 6% increase), and in fact most women who have donated a kidney can safely carry a pregnancy to term. More information about the study can be found here. Some police and fire departments or branches of the military will not accept individuals with only one kidney. Be sure to talk to your superior if you are considering becoming a living donor.